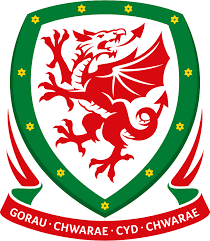 Following yesterday’s announcement by the UEFA Executive Committee, the Football Association of Wales is delighted to be given the opportunity to again bid for Cardiff to become one of the host cities for the UEFA European Championships in 2020. The Euro 2020 finals will celebrate 60 years since the first European Championship final was played in Paris. Cardiff this year successfully hosted both the men’s and women’s UEFA Champions League Finals and the city has a proud history of staging major events. London and Stockholm are the other cities involved in the bidding process. A decision is expected in December as to whether the matches will be hosted in Brussels, following an update on the build project, or one of the new venues. Jonathan Ford, FAW Chief Executive, welcomed the news: “Naturally the FAW are delighted to be given this opportunity. “We will work hard to once again produce a strong case for the games to be played in Cardiff and will use the experience of the Champions League to demonstrate what a success we will make of hosting these matches. “It would be fantastic for Welsh football to not only qualify for the Euro 2020 finals but also to stage some of the key matches”.